The right path for the welfare of our civilization is without a doubt considered to be a full transition on the usage of renewable energy sources. Without a slightest need to discuss the influence that humans have on climate changes, the need for putting an end to the usage of fossil fuels for energy production, the greenhouse effects and similar problems, I can support the claim that gathering free and pure solar energy and its free of charge utilization for home devices startup is a truly revolutionary thing. Therefore, it might be smart to consider getting a solar generator – a device which uses solar panels to collect the energy from the sun, stores it in its batteries and then gives power to electrical devices in your home. The most important thing in this entire story is that this type of system will turn out to be cost effective. I give you my word! to supply even a part of the used energy in your home with the assistance from solar sources. As I mentioned earlier, a solar generator is a device which uses solar panels in order to storage the energy made by the sun in a form of direct current in its batteries. After it is stored the energy can be transformed into alternating current with the help of power inverters and further delivered to devices you use every day. Also, by upgrading certain components it is possible to provide its power supply even from an electrical grid, a gas generator or any other electrical energy source. 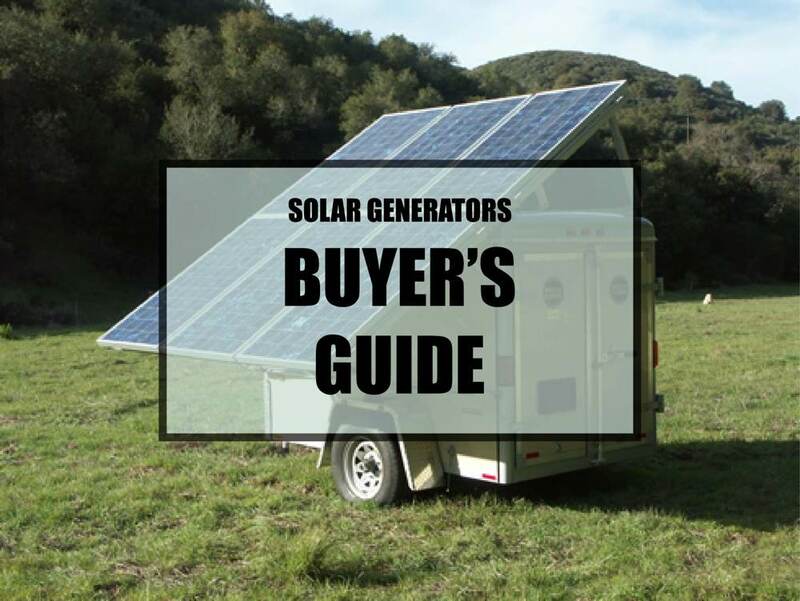 When choosing a solar generator you have to pay close attention to one thing: whether the manufacturer delivers the solar panels together with the device or not. This is important because a very few households has them. So, there is no need for fuel, for special component maintenance (they don’t wear out like gas generators), and they don’t make irritating noise. Quiet, clean and most importantly – free! It looks too ideal, there must be a catch! For example something related to that solar energy: Is that generator strong enough to power all the devices that are essential for my everyday life now? This brings us to the topic of generator capacity. 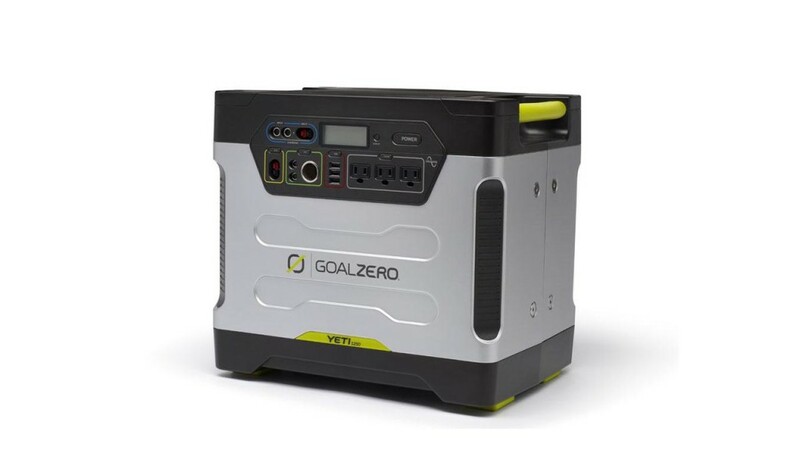 The generator capacity determines the amount of electrical energy which the generator is capable of storing for the needs of the person using it in cases when the intensity of sunlight is limited, when night falls and when your energy needs exceed the amount of solar input coming in. Hey, what’s the horsepower of that generator? Which devices could be powered with it? Now I am going to explain to you in what way can you simply calculate for how long your generator can power a certain device. First of all, we need to get familiar with some basic terms. A term which is related to every electrical power battery is ampere per hour (Ah). For example, very often you will come across generators of 12v and 120amp/hr. on the markets. However, considering the fact that the strength of electrical devices in a household is primarily expressed in watts (W), dealing with this can be a little harder. But, no worries – you can convert amp/hr. into watts by simply multiplying them with volts. To be truthful, Lithium-Ion batteries (Li-ION) have a higher usage percentage (-90%), but in their case there are some limitations when it comes to the price and market availability. So, the generator can power your laptop for 16 hours straight until it empties. In this way you can also calculate for how long can you use any other device. Solar panels transform the energy from the sun into direct current and use it to power the solar generator (in one of the upcoming posts I will explain in more detail the manner in which the solar panels transform solar energy into electrical energy). Some generator even have built-in solar panels (e.g Power Cube). In any case, they are the primary electrical energy source which powers the generator and therefore you need to pay special attention when you are buying them. Sometimes it isn’t possible to connect the generator and the solar panels without some kind of additional components (you need to ask about compatibility). Solar panels which are strong enough can constantly provide the powering of a solar generator during the day, as well as short charging period after usage at night. The main measurement unit of the power of a solar panel is his watt – generation capabilities. If the specifications of a solar panel state 140watts, which means that it generates 140watts of electrical energy when the sun is at its peak and the sun rays are falling directly on the panel. Of course, the PV input generates electrical energy even when the rays are falling under a certain angle, but the energy usage is significantly smaller. However, if the electrical system consists of portable generators and independent solar panels, it is possible to change the panels’ position according to the angle of the falling sun rays. In that way you can provide a much greater usage of the solar energy during the day. The PV input directly affects generators’ recharging time. This recharging time is one of the most essential items in the specifications and you should pay special attention to it. It could be even higher than it is specified in cases when the generator is powering a device when simultaneously charging. 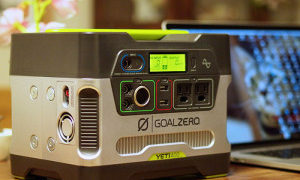 For generators whose usable capacity doesn’t go above 2500w/h, the acceptable recharging time is less than six hours. If it lasts longer than that it can considerably affect the systems functionality. When we apply the things we mentioned in the previous example, the recharging time of our generator (with the capacity of 1600w/h) attached to two solar panels, 140watts each, will be 5,7 hours (1600/280). By using this you can calculate the approximate recharging time for any generator/solar panel pair on the market. As you can see, the solar panels on their output side give us direct current of small voltage which is storage in the generator. A necessary component in this electrical system when taking into consideration that the home appliances are powered by alternating current whose power is 120v is an inverter. It determines the amount of watts which can be “pulled” from your generator. In fact, the inverter determines the maximum of energy which you can get from your generator at some point in time. Also the inverter can be upgraded so that it gives you an option to power it from other sources such as electrical grids, gas generators, wind generators etc. In some cases when the inverters’ power is not proportional to the power of the generator it could lead to reduced system efficiency. Imagine, for example, that the power of the inverter is 1500w and the capacity of the generator is half of that – the generator will be empty in a half an hour more or less! In practice it has been shown that the best capacity relation between the generator and the inverter is 1.5:1. In our case that would be: 1600w/h generator and 1100w the inverter. I repeat pay close attention to this when you are shopping for a solar generator! The solar generators portability is mostly influenced by the fact that the batteries of the generator are quite heavy and rather big. So, if we are looking to increase the portability we have to count on reduced capacity and vice versa. Have in mind that the systems with only one battery are around 100 lbs. Therefore it is very crucial to pay attention to the very construction of the generator carrier – it has to be rugged and also built-in wheels which can withstand its weight are desirable, because sometimes it will be necessary to move the generator on a bumpy road, put it in a truck or a van etc. When we are talking about any company, the most reliable models owe this characteristic to their simplicity (VW Beetle, Nokia 3210, Ford T model). This is also the case with solar systems. Simply put, there is a small number of components which can give you trouble, taking into consideration the fact that there are no movable parts which could wear out (like with fuel generators). Solar panels, for instance, have a lifespan of almost 30 years, so they do not require high maintenance! When it comes to the generator itself, it all depends on the way you use the batteries. Some recommendations exist that need to be followed in order to preserve the batteries and their lifespan. One of the most important ones is that you can never fully empty the generator. Lead-acid batteries are especially sensitive to this. Also, if you leave the battery uncharged or do not charge it fully before the night falls you will find yourself in a situation where you have shortened its lifespan. All of the above mentioned is applied for the components which a least have a middle quality level. Do not try to put together a system complied of “no name” components made by shady manufacturers. The old saying is – You get what you pay for. On our site you can only find reviews of the generators, panels and additional equipment that we believe are worthy of your money. When can I say about the advantages of the solar generators that isn’t already implied? First and the main: solar generators provide green, pure, renewable energy! They do not require the usage of any kind of fossil fuel (their fuel is the free Sun), movable parts which could wear out and break do not exist and therefore there is no need for oiling. A big problem with the generators which have internal combustion engines (beside the Exhaust gases) is the unbearable noise which they produce – needless to say that the solar generators do not have noisy parts. It is a great advantage when it comes to their safety – they don’t draw attention and with this they are safe from thieves. The only limitation is related to the amount of solar energy which is available in your area over the year. Also other objects which are next to your home can be sun blockers. All these things need to be taken into consideration before you decide to switch to this powering system. Google is now developing and interesting project called Sunroof which uses the enormous Google database (maps, 3D objects…) when calculating the amount of solar energy available on specific locations. When you calculate you add the quantity of solar light in a specific location, the type and the degree of could cover, rainfalls, the average temperature, even the shadow which neighborhood objects make etc. You can get a pretty accurate calculation about the (un)profitability of installing solar panels.